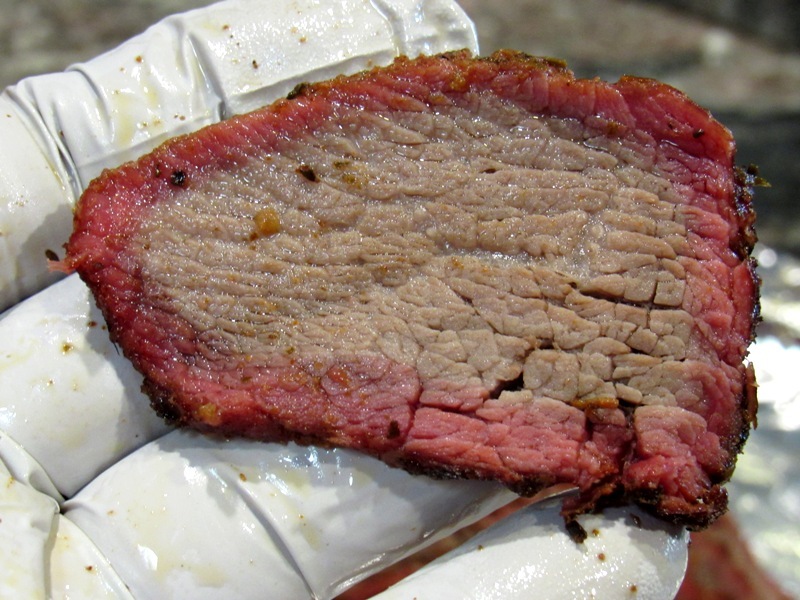 Smoked Prime TRISKET - What you say is a "TRISKET"? 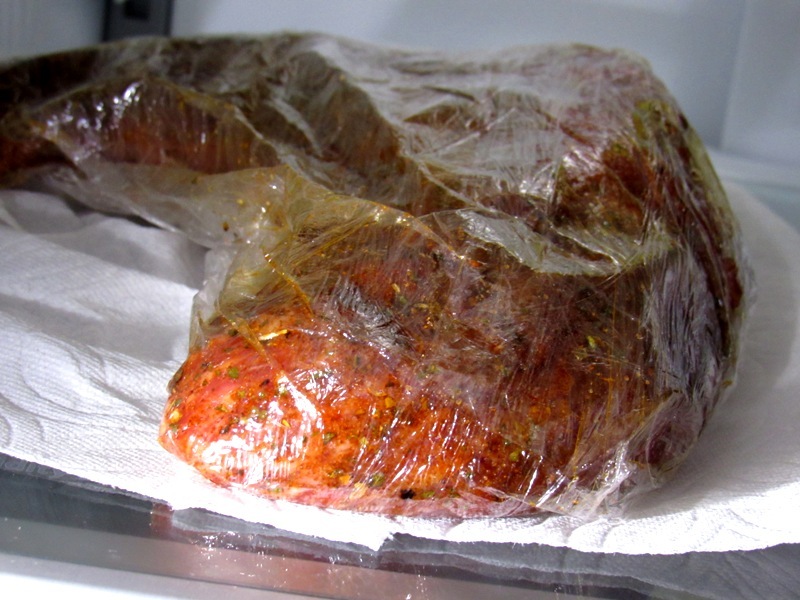 You'll not find this cut of beef at any Butcher Shop or your local grocery store meat counter. 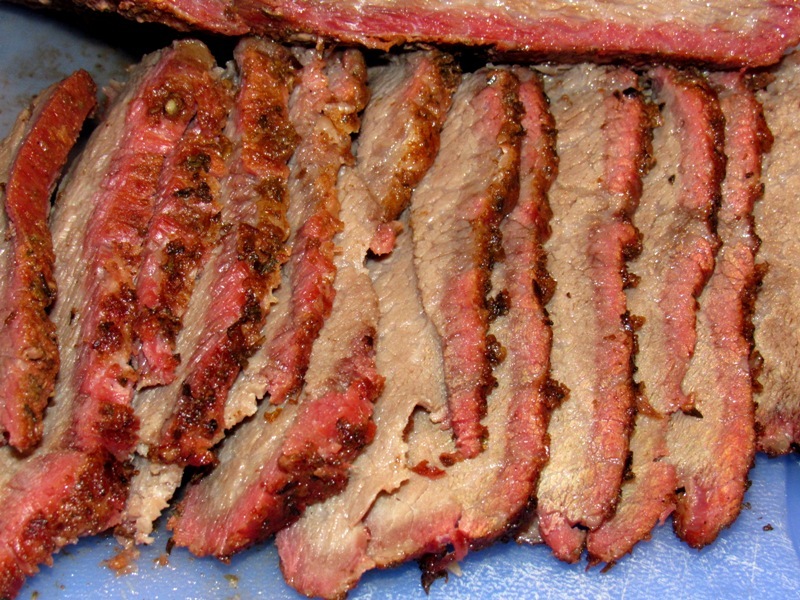 The reason is because a TRISKET is a Tri-Tip roast cooked to perfection like a Brisket. 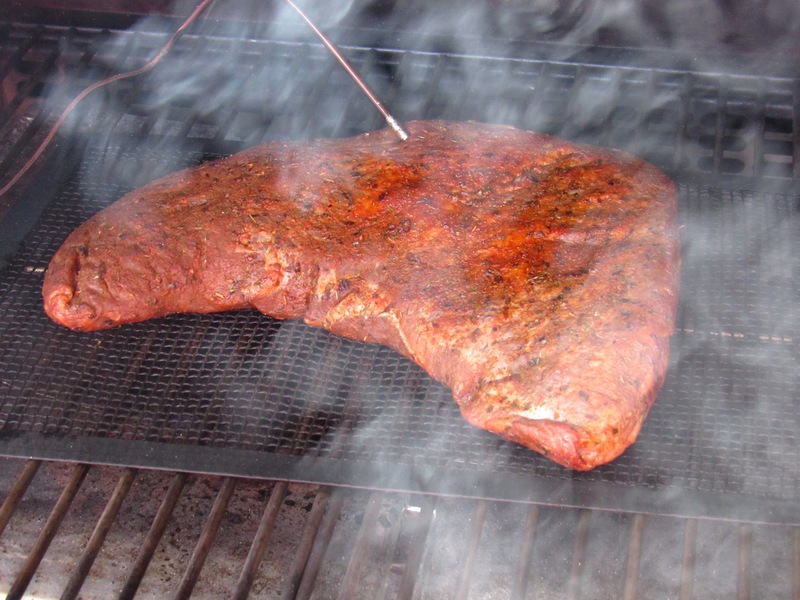 Therefore the Tri-Tip becomes a TRItip briSKET. 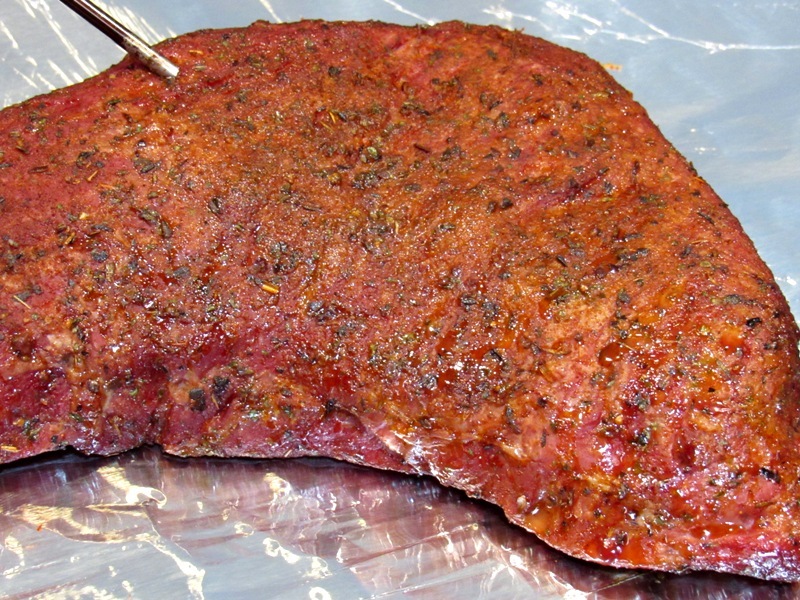 Hey, don't blame me, I didn't make this stuff up - I first heard about a TRISKET on the LetsTalkBBQ Forum when user muebe took a Tri-Tip roast and cooked it like a Brisket to 200ºF. 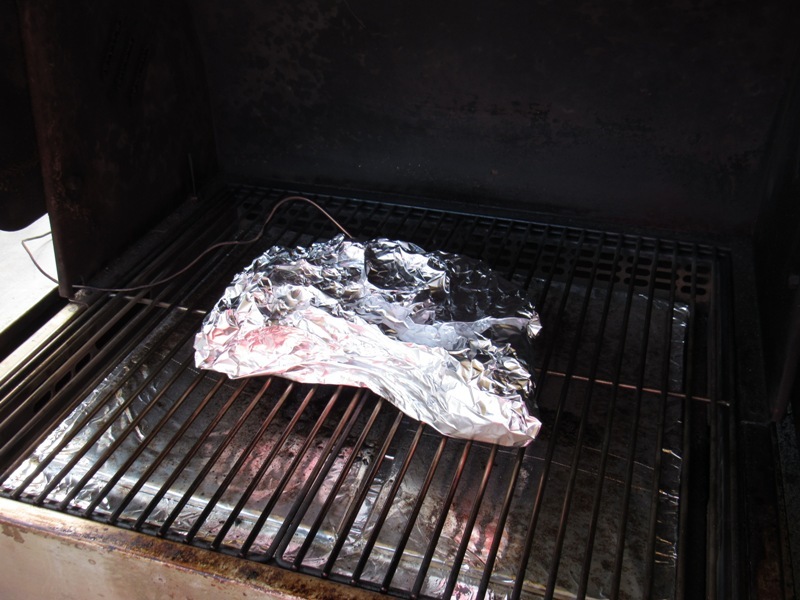 Many, including myself, think that it's sacrilegious to cook a Tri-Tip roast past medium-rare (135º to 145ºF). But after seeing multiple postings of TRISKET photos and write-ups about how delicious the results are I chose to find out for myself using a peeled USDA Prime Tri-Tip roast from Costco. Since I bought 12 Prime Tri-Tip roasts from Costco then this will be my posting of 4 of 12. It was an unqualified success. 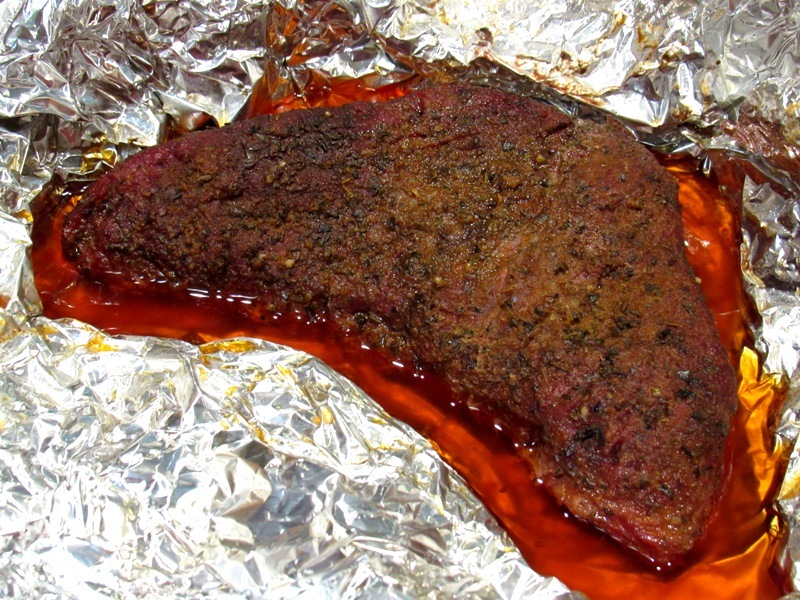 I will say that SWMBO gave me the evil eye when I pulled the Tri-Tip at 140ºF to wrap in foil cause that's the sweet spot for me - when my Tri-Tips are so tender you can cut them with a fork and she says it melts in your mouth. 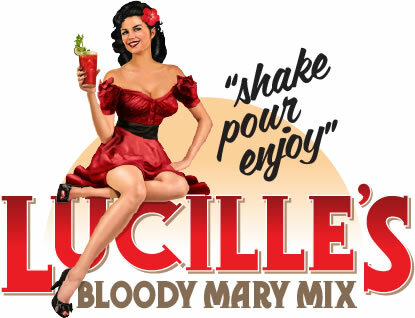 I was somewhat skeptical but the results were delicious. Very moist and tender results. 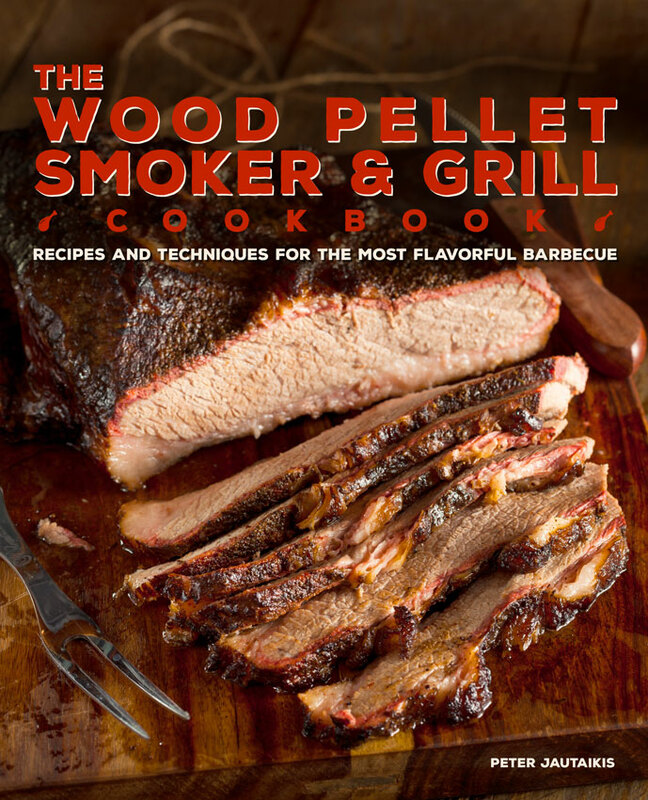 Sure is a lot easier to cook than a brisket and to me tasted a lot better than a brisket. 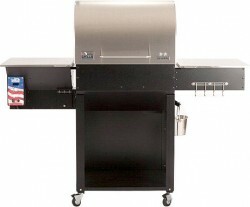 Also since there's only the 2 of us it's a lot cheaper to smoke/cook a TRISKET than spend $30 - $50 for a brisket. 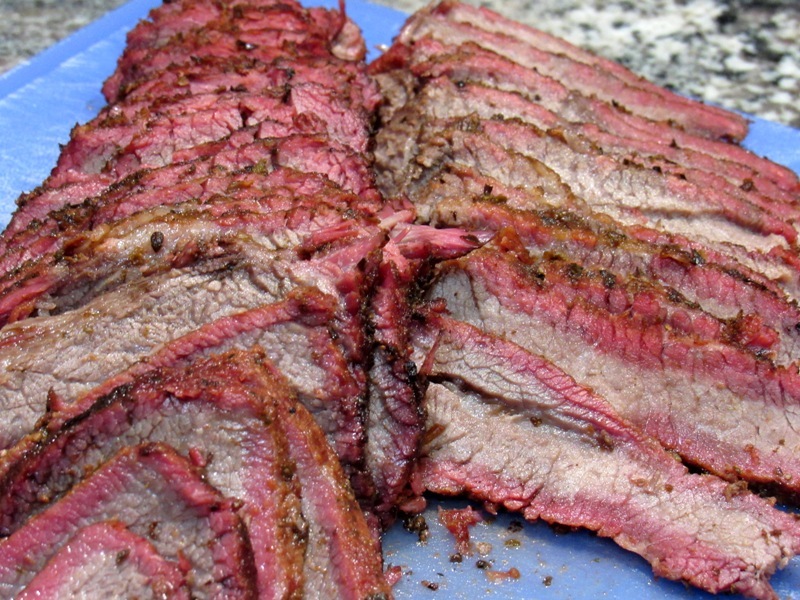 Prep the TRISKET like you would any other Tri-Tip roast with the exception of using a Prime Rib Seasoning instead of a Tri-Tip seasoning like Pete's Western Rub. When cooking a prime rib or ribeye roast I prefer using Fagundes Prime Rib Seasoning but you can use your preferred seasoning or rub.